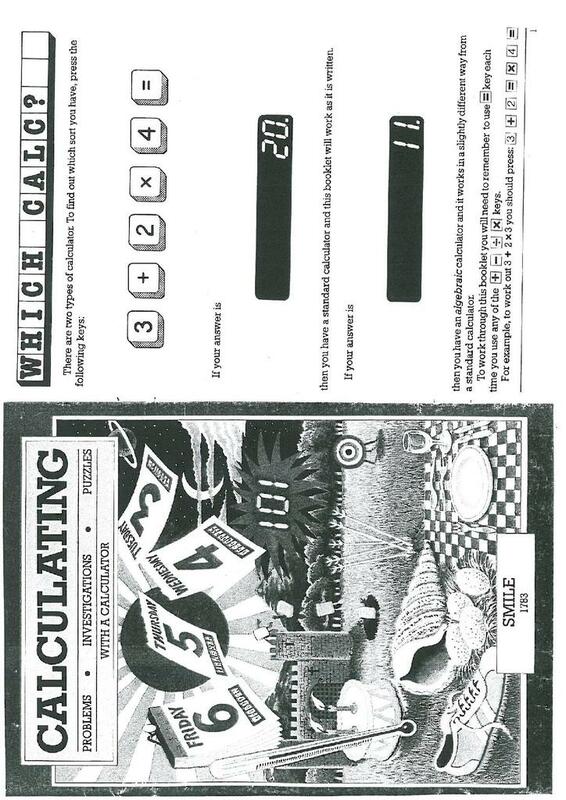 SMILE Card 1783 is a booklet containing twenty two activities designed for students to practice using a calculator correctly and begins with a test to find out whether students' calculator obeys the rules of BODMAS. There follows a number of activities in which students use their calculator to complete the tasks. Mystery island, Mappings, Magic square and 110 up are just some of the tasks requiring the students to perform the four operations including the use of brackets. Missing digit and Operations are both tasks in which students have to identify the missing numbers or the missing operation. There then follows some puzzles and a calculator exercise in which students form patterns by performing calculations. The booklet concludes with more calculator games, puzzles and activities including how to calculate the day of the week students were born.